Emergency Management British Columbia (EMBC) is the coordinating agency for the provincial government’s emergency management activities. 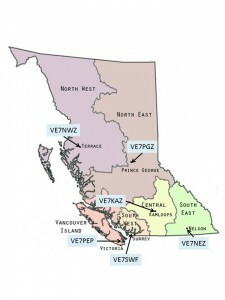 The Emergency Management function in EMBC is organized into six regions, plus a Headquarters located near Victoria. Each region has a Regional Office and Provincial Regional Emergency Operation Centre or PREOC available for immediate activation in response to an emergency or disaster. Station VE7PEP provided radio communication support to both the VIR PREOC and PECC.